GitHub is the world’s largest code hosting repository, utilized by over 8million designers and developers that collaborate on projects. 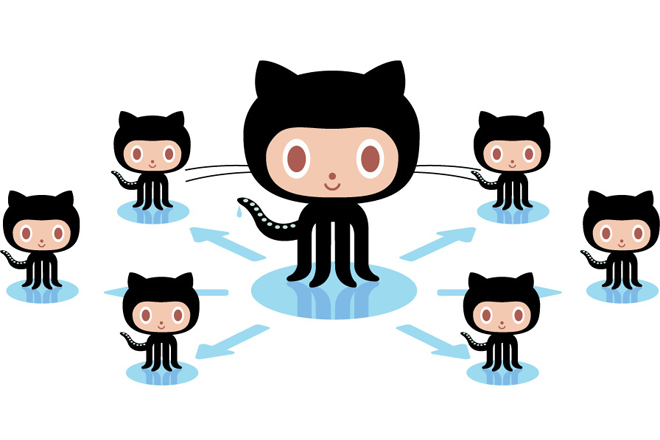 GitHub Enterprise is similar to GitHub’s public service, but it’s been refined for utilization by large-scale enterprise software development teams where they host their repositories behind a protective firewall. GitHub Enterprise has been utilized by big names like PayPal, Etsy, Blizzard, Vimeo, and even NASA’s Jet Propulsion Laboratory! At Ayoka, we use the Git repository to bring ideas together with code in a custom environment while utilizing both open-source and in-house solutions to build solutions suited for your unique needs. Git’s security is focused on authentication, making sure that users are approved for viewing and editing code, with cryptography. Using SAML or LDAP Sync with GitHub organizations and teams, we can engage in cross-team collaboration while providing essential controls for ourselves and our clients. We were able to easily implement GitHub on our servers, and GitHub Enterprise is available on VMware, AWS, and OpenStack KVM, plus it’s configurable to meet any security and regulatory requirements. We are able to avoid duplication of our collaborative efforts by using GitHub Enterprise to share existing software structures to our developers. Ayoka’s highly collaborative approach to custom application development services emphasize local, hands-on interaction with team members that visit your organization, meet in person, and talk to your end-users. This level of customer service is the foundation of Ayoka’s custom application development services. We are able to create and build on our own individual branches of the code to ensure that new implementations do not break existing infrastructure before implementation. Using the Deployments API, we can also set up notifications that let you know when a pull request has made it to your testing, staging, and production environments while getting an understanding of the contents-and author-of the code that was pushed. One of the trickiest requests from our customers is to predict the future of the application development services industry. Although each industry we work with is distinct, in some ways they are all moving towards stronger inter-connection and can learn a lot from seemingly diverse fields. Each want to build, integrate, or manage their enterprise for strength and stability during times of uncertainty, while opening up new avenues for customer service and growth. At Ayoka, we are committed to bringing the best and newest technologies to the table to build scalable architectures for solutions that bring flexibility, availability, and predictability to your enterprise applications. Our application development services include enterprise architecture and technology services, custom application development, and information management services. We prefer to work closely and collaboratively with our customers – and we provide experience with open-source or other innovative applications that are powerful enough to generate business intelligence for small business. At Ayoka, client satisfaction is our number one priority, and we are committed to your business’ success as we strive to create partnerships built on mutual trust and respect that will grow as we help your business grow. Contact us today for a complimentary consultation.